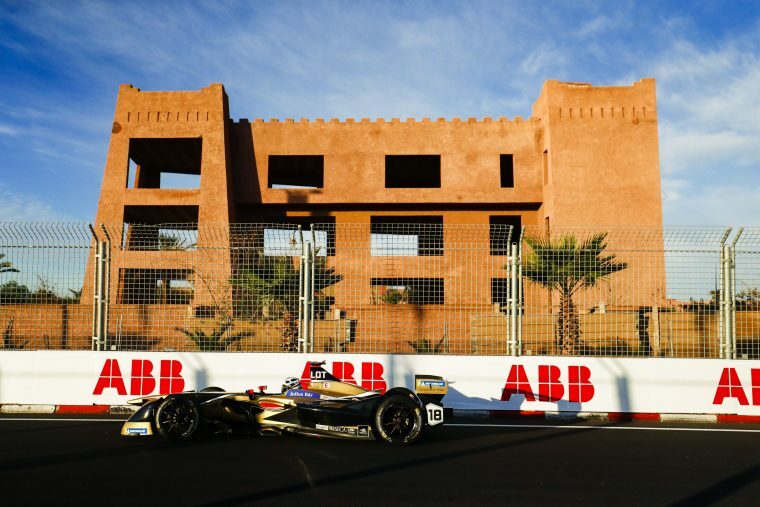 Techeetah faced a difficult day as the cars took to the Marrakesh street circuit with only one of their drivers finishing the race. Techeetah had a weekend of two tales in Marrakesh. Andre Lotterer suffered from an issue with his hardware, resulting in a retirement on lap 15. Jean-Eric Vergne, on the other hand, drove a fierce race and turned the team’s day around, crossing the line with ten points to add to the team’s championship tally. After a disappointing qualifying, Andre Lotterer began the race from the back of the grid. With a challenge Before his retirement, Lotterer had made his way up to 12th, especially impressive considering his last place starting position. His team-mate has similar amounts of success. After starting in 13th place, Vergne managed to fight his way forward to fifth position which eased the hit of Lotterer’s DNF. After qualifying in 13th position, Jean-Eric Vergne faced a race for points come lights out. Wasting no time, Vergne used his car as best he could to limit the damage to the team. Within the first lap, he had already gained 2 places. His fighting spirit continued. Taking the full course yellow that was caused by his teammate’s retirement as an opportunity to switch cars, Vergne continued chasing the car in front for the whole race. In the final 10 laps, he was somewhat lonely as he receive no pressure from behind and the car ahead, Nelson Piquet Jr., remained just out of reach. Managing to get his car into fifth position for the waving of the chequered flag rescued Techeetah’s race result, helping them maintain their third place in the championship. 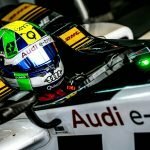 After topping off the top ten in FP2, Lotterer’s day seemed to dip. In qualifying, he set a time worthy of 17th place on the grid, however, after failing to stop for stewards he was disqualified, pushing him back to the final slot on the track. 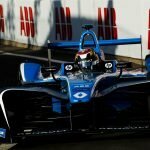 Realising the magnitude of the climb he needed to make, Lotterer wasted no time and started making progress as soon as the field left the start line. Similarly to his teammate, Lotterer had gained two positions by the end of the first lap. Not long after, the German spun the car of Nico Prost after making contact. Putting the contact aside, Lotterer continued to make progress throughout his race, managing to get his car up to 12th place. However, this didn’t last as just shy of half-way through the race, on lap 15, Lotterer was forced to retire his car. Triggering a full course yellow creating the perfect opportunity for the rest of the field to pit.